Servant of God Vincent Robert Capodanno (13 February 1929 - 4 September 1967) was a U.S. Navy Roman Catholic Chaplain. He was posthumously awarded America's highest military award for valor, the Medal of Honor, for his heroic actions during the Vietnam War. Vincent Robert Capodanno was born on 13 February 1929, in Staten Island, NY. He graduated from Curtis High School, Staten Island, and attended Fordham University for a year before entering the Maryknoll Missionary Seminary in Ossining, NY. He was ordained a Roman Catholic priest in June 1957. Father Capodanno's first assignment was as a missionary with aboriginal Taiwanese in the mountains of Taiwan where he served in a parish, and later in a school. After seven years, Father Capodanno returned to the U.S. for leave and then was assigned to a Maryknoll school in Hong Kong. Capodanno's relatives now reside in New York, New Jersey, Florida and Arizona. In December 1965, Father Capodanno received his commission as a Lieutenant in the Navy Chaplain Corps. He was assigned to the First Marine Division in Vietnam in April 1966. At 0430 on 4 September 1967, during Operation Swift in the Thang Binh District of the Que Son Valley, elements of the 1st Battalion 5th Marines encountered a large North Vietnamese unit of approximately 2500 men near the village of Dong Son. The outnumbered and disorganized Company D was in need of reinforcements. By 0914 twenty-six Marines were confirmed dead and another company of Marines was committed to the battle. At 0925, the commander of 1st Battalion 5th Marine requested further reinforcements. Father Capodanno went among the wounded and dying, giving last rites and taking care of his Marines. Although wounded once in the face and having his hand almost severed, he went to help a wounded corpsman only yards from an enemy machinegun and was killed. His body was recovered and interred in his family's plot in Saint Peters Cemetery, West New Brighton, Staten Island, NY. On 27 December 1968, then Secretary of the Navy Paul Ignatius notified the Capodanno family that Lieutenant Capodanno would posthumously be awarded the Medal of Honor in recognition of his selfless sacrifice. On 19 May 2002, Capodanno's Cause for Canonization was officially opened, so he is now referred to as a Servant of God. 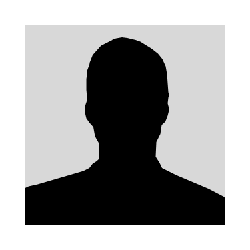 In May 2004, the Initial Documentation was submitted to The Congregation for the Causes of Saints with CatholicMil acting as Petitioner and Father Daniel Mode named Postulator. On 21 May 2006 a Public Decree of Servant of God was issued by the Archdiocese for the Military Services, USA. Archbishop Edwin F. O'Brien made the statement in Washington DC. 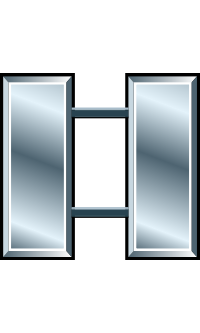 Citation: For conspicuous gallantry and intrepidity at the risk of his life above and beyond the call of duty as Chaplain of the 3d Battalion, in connection with operations against enemy forces. In response to reports that the 2d Platoon of M Company was in danger of being overrun by a massed enemy assaulting force, Lt. Capodanno left the relative safety of the company command post and ran through an open area raked with fire, directly to the beleaguered platoon. Disregarding the intense enemy small-arms, automatic-weapons, and mortar fire, he moved about the battlefield administering last rites to the dying and giving medical aid to the wounded. When an exploding mortar round inflicted painful multiple wounds to his arms and legs, and severed a portion of his right hand, he steadfastly refused all medical aid. Instead, he directed the corpsmen to help their wounded comrades and, with calm vigor, continued to move about the battlefield as he provided encouragement by voice and example to the valiant Marines. Upon encountering a wounded corpsman in the direct line of fire of an enemy machine gunner positioned approximately 15 yards away, Lt. Capodanno rushed a daring attempt to aid and assist the mortally wounded corpsman. At that instant, only inches from his goal, he was struck down by a burst of machine gun fire. By his heroic conduct on the battlefield, and his inspiring example, Lt. Capodanno upheld the finest traditions of the U.S. Naval Service. He gallantly gave his life in the cause of freedom. On 7 January 1969, Capodanno's Medal of Honor was presented to his family in a White House ceremony by President Richard M. Nixon. The name Vincent Robert Capodanno is inscribed on Panel 25E - Line 95. USS Capodanno: USS Capodanno (FF-1093) was named in honor of Lieutenant Capodanno. The Capodanno was commissioned 17 September 1973 and was decommissioned 30 July 1993 and sold to Turkey. It became the first ship in the U.S fleet to receive a Papal Blessing when it was blessed by Pope John Paul II in Naples, Italy, on 4 September 1981. In March 1971, the Knights of Columbus, Madonna Council in Staten Island sought to have a permanent public memorial honoring Father Capodanno. In October 1974, a bill was proposed to change the name of Seaside Boulevard to Father Capodanno Boulevard; a year later, the bill was passed by the Mayor of New York. The city of New York declared 3 July 1976 "Father Capodanno Day" and held a Mass, followed by a parade that included the U.S. Marine Corps Color Guard, bands from the U.S. Navy and the U.S. Marine Corps, and Boy and Girl Scouts. A monument was erected at the corner of Sand Lane and Father Capodanno Blvd. on Staten Island. It is made of light gray Barre granite, stands 8' high and 4' wide and has a bronze plaque. Saint Vincent's Chapel was the Capodanno family's first choice as a memorial. Within four months after his death, almost $4,000 had been raised by organizations such as The American Legion, The Veterans of Foreign Wars, the Knights of Columbus and the Marine Corps League. The Chapel, however, was not completed until 1993. It was built in the small mountain town of Thiankou with the help of Father Dan Dolan, another Maryknoller and Father Capodanno's former pastor when he was a missionary in Taiwan. Lieutenant Capodanno made the ultimate sacrifice ministering to the wounded and dying during savage fighting in Vietnam. He has become the third chaplain in our country's history to receive the Medal of Honor and the second Navy chaplain to be so honored. • Fort Wadsworth statue, Fort Wadsworth Army Chapel School. 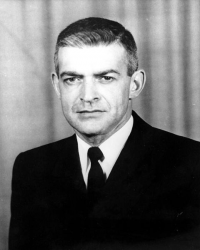 U.S. Navy Chaplin, Lieutenant Vincent Robert Capodanno was killed in action on 4 September 1967. He is buried at Saint Peters Cemetery in West New Brighton, Richmond County, NY. He was affectionately given this name by the Marine 'grunts' that he served.